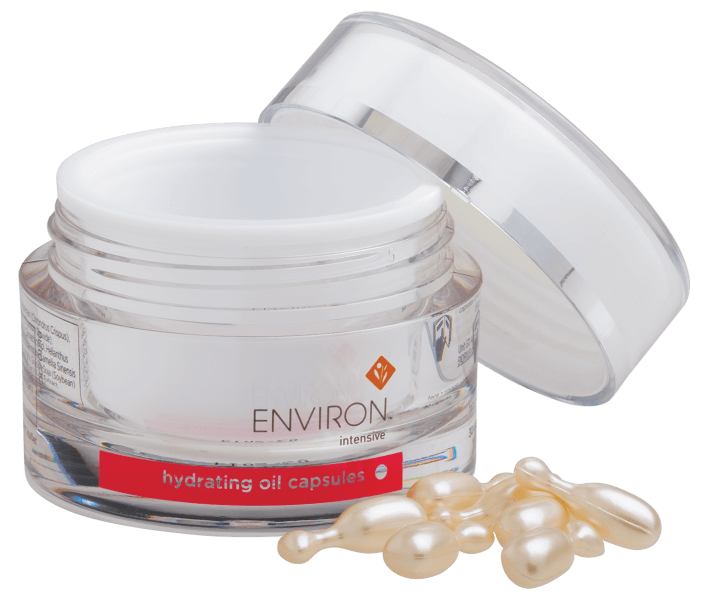 Spoil yourself this winter with Environ’s luxurious light velvety Hydrating Oil Capsules. Environ's Hydrating Oil Capsules contain an effective combination of antioxidants and vitamin A to help energise and refresh the skin. The Hydrating Oil Capsules also contains green tea and lipochromalin (a form of vitamin E) which all help with anti-ageing. The Hydrating Oil Capsules are designed for all skin types.